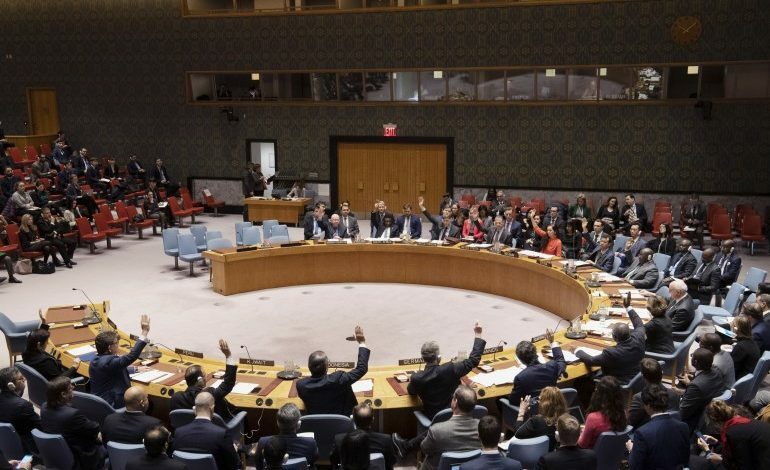 The UN Security Council unanimously adopted on Wednesday resolution 2453 (2019) extending the mandate of the UN peacekeeping force in Cyprus, UNFICYP, for another six months until July 31, 2019. But taking into account the intervention of U.S. Deputy Representative Jonathan Cohen during while explain his vote, the next renewal is not going to be easy if there is no progress in the settlement negotiations, let by UN Advisor Jane Hall Lute. 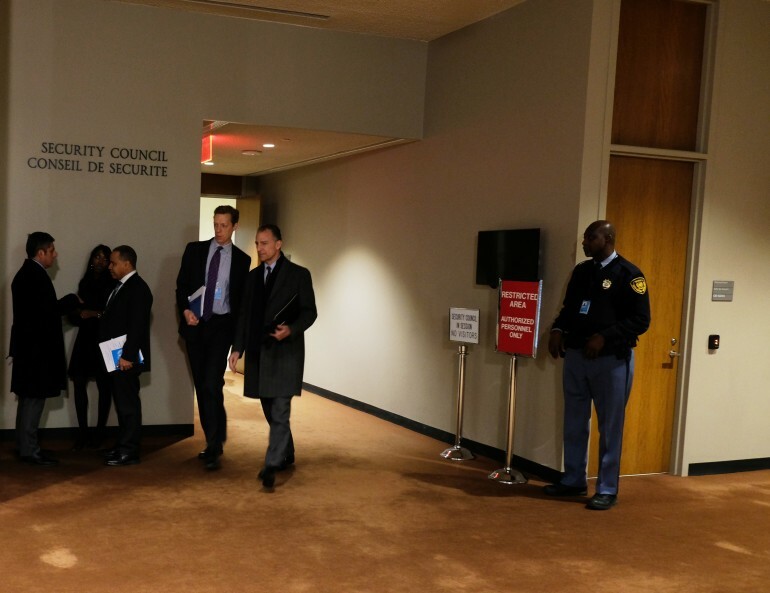 Both Britain and the United States stressed that peace and security lies is a responsibility of the Council and cannot be vetoed by Special Committee on Peacekeeping. They also argued that identical language was used in recent Security Council Resolutions for other peacekeeping operations. Thank you, Mr President. The United Kingdom welcomes the unanimous adoption of Resolution 2453 today and the renewal of the mandate of the United Nations Peacekeeping Force in Cyprus. And I’d just like to thank all members of the Council for their support in bringing these negotiations to a successful conclusion. We continue to be strong supporters of a just and lasting settlement to reunite Cyprus based on the internationally accepted model for a bi-zonal, bi-communal federation. And we endorse the Secretary-General’s view the prospects remain alive for a comprehensive settlement. Through the unanimous adoption of this resolution today we are sending a clear message to all sides: to work towards the resumption of talks through constructive engagement with the United Nations consultant Ms Jane Holl Lute, and her work to reach agreement on terms of reference for resuming talks within a foreseeable horizon. UNFICYP plays an important role in supporting the settlement process through its contribution to peace and stability on the island and in creating the conditions for settlement talks. At the same time it should also support a return to normal conditions on the island. We therefore welcome the emphasis in this resolution on enhanced dialogue and cooperation to build trust and mutual understanding between the communities, including our collective call for the sides and relevant parties to develop new mechanisms to achieve this. We also support the continued focus on the important contribution of women, youth and civil society and the role of education in promoting a culture of peace and reconciliation. I took note of the Russian Representative’s views on the language in OP17 of this resolution on cross-cutting peacekeeping issues. We tried very hard through this process to take all delegations’ views into consideration and find a way through. As Council members are aware, the language that we have used in this resolution is an exact replica of the language agreed upon by this Council in other peacekeeping mandates, including resolution 2445 on UNISFA, which we adopted unanimously in October 2018. The language in today’s resolution needed updating since our last discussion six months ago to reflect the important developments on the integrated performance policy framework for all peacekeeping operations, including resolution 2436 on peacekeeping performance, which was adopted unanimously by this Council in September 2018. Our language closely mirrors that of resolution 2450 on UNDOF which was also adopted unanimously in December 2018 and on which the Russian delegation jointly led negotiations. We do not accept the argument that the Special Committee on peacekeeping C34 must approve, endorse or authorise any new development in peacekeeping policy before the Secretariat can implement it. The C34 plays a vital role in scrutinising peacekeeping policy and making informed strategic and balanced recommendations on a range of policy issues in its report. However, as our Russian colleagues have rightly pointed out, the C34 is mandated to “comprehensive review” all aspects of cross-cutting peacekeeping policy. That does not imply that the C34 has a right of veto over policy implementation or that it can obstruct the Security Council’s ability to make decisions on matters of international peace and security. We would not want to see the C34’s functions exceeded under the powers prescribed under Chapter 4 Article 10 of the Charter. Mr President, let me take the opportunity to express our thanks to Special Representative Spehar and her team for their work on the island during the last six months; to the Secretary-General for keeping his good offices at the disposal of at the parties; and to Jane Holl Lute for her ongoing consultations. The United Kingdom will continue to support the sides in their efforts to achieve a settlement and we stand ready to play our part in any future talks.